Last week we featured a great scenic drive along the Glengesh Pass in Co. Donegal. 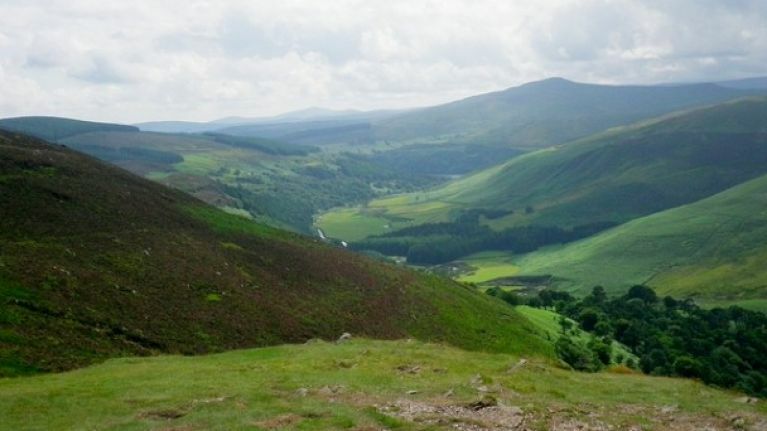 This week we’re taking you on a spin along through the Sally Gap in Co. Wicklow. Getting caught up in the rat race can take a serious toll on how much time you get to spend relaxing behind the wheel. It’s hard to find a scenic spin that’s away from the capital but not so far out that you’ll be coming home in the middle of the night. That’s why we’re taking you on an hour’s drive through the Sally Gap in Co. Wicklow. The great thing about the Sally Gap drive is that it starts and ends on the M50, so it’s easily accessible for anyone living in or around the Dublin area. To start, take exit 11 on the M50 heading for Tallaght. From here it’s a short 15-minute drive on the N81 through Saggart and Manor Kilbride until you reach a turn for the R759 on the left-hand side. This is when the best part of the drive kicks in. You’ll drive along some winding roads that can get a bit tight (some might say dodgy) in places so make sure you’re not barrelling along like a rally driver. Twenty minutes on and you’ll come to a cross roads - located at 'B' on the map below. From here, take the sharp left turn onto the R115. Along this section of the route you’ll come across some beautiful mountain scenery, which is also surrounded by vast bog lands. About five minutes into the drive you’ll get to Lough Bray Lower, where you can stop off and get some great photos of the area. Twenty minutes later, you’ll reach the ‘spot’ known as view point, which will lead you back towards Knocklyon and onto the M50 at exit 12. You're now homeward bound.